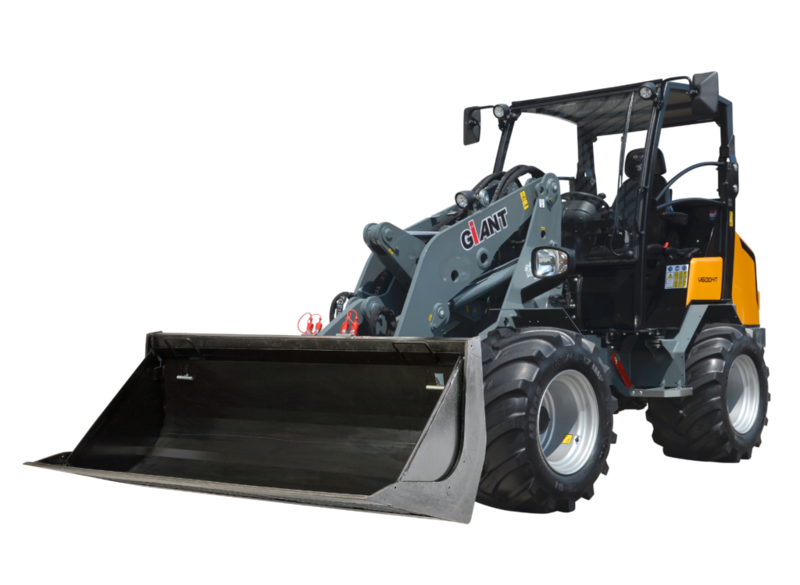 GIANTs can improve your versatility and limit the need for multiple machines. Change your attachments quick and safe with our universal mounting systems. Thanks to state-of-the-art technology, continuous development and the best quality components of Kubota, Bosch Rexroth and Comer, TOBROCO-GIANT machines are reliable and highly productive. 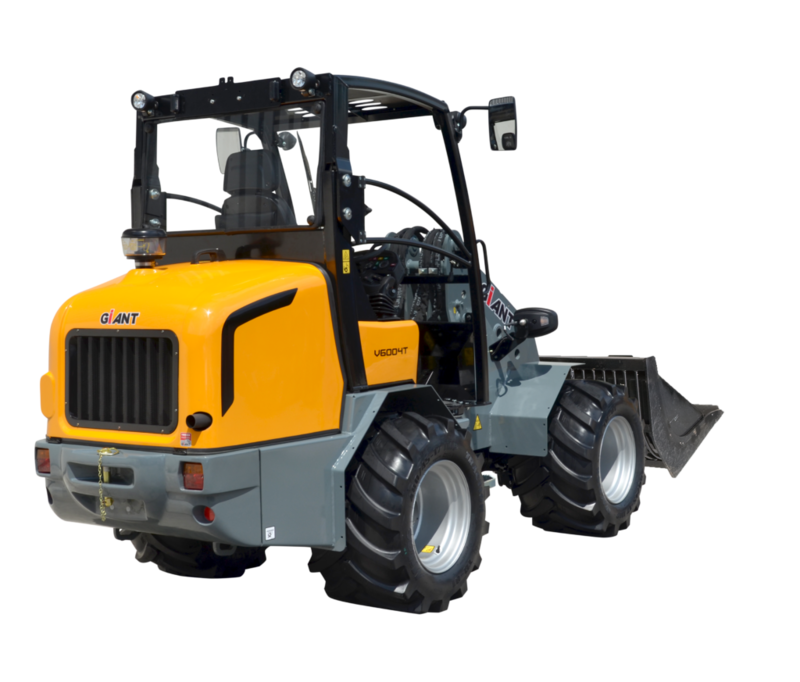 The GIANT V6004T is part of TOBROCO-GIANT’s powerful E-Series range. Equipped with a 4-Cylinder 60 hp Kubota diesel engine and powered with 31000 lbs. planetary axles with electric differential lock, the V6004T is the very definition of a ‘workhorse’. The robust construction in combination with a Z-kinematics on the lifting arm make this wheel loader a pleasure to work with. Driving mechanism: Hydrostatic 4 wheel drive with automotive control with 31000 lbs. axles. Planetary end drive.